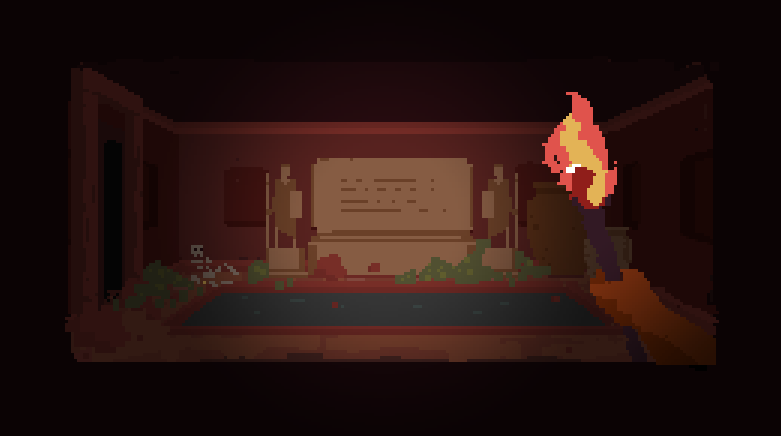 A point and click adventure in a mysterious labyrinth. itch.io Community » Game Development » Release Announcements · Replied to leafo in Outpost Horizon Station - Released! Hey, thanks so much for the kind words! So glad you liked it! itch.io Community » Game Development » Release Announcements · Created a new topic Outpost Horizon Station - Released! Outpost Horizon Station is a bullet-hell platformer set on a derelict space station above Earth. The platform rotates as you run, adding a disorienting level of difficulty—but also opportunities to outmaneuver the enemy! Horizon was a farming station that got decimated in a sudden alien invasion. Earth has been scrambling since then—but their technology just got good enough to send a mobile platform up to old wreckage to start to get some payback. OHS has 2 unlockable characters, and 2 unlockable weapons. I'm told it is very difficult. 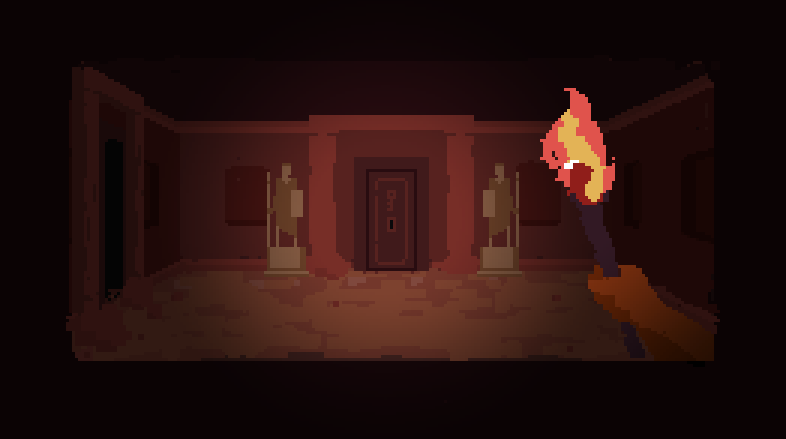 A point and click adventure in a dark and mysterious labyrinth. Made over the course of 12 hours as a practice project. 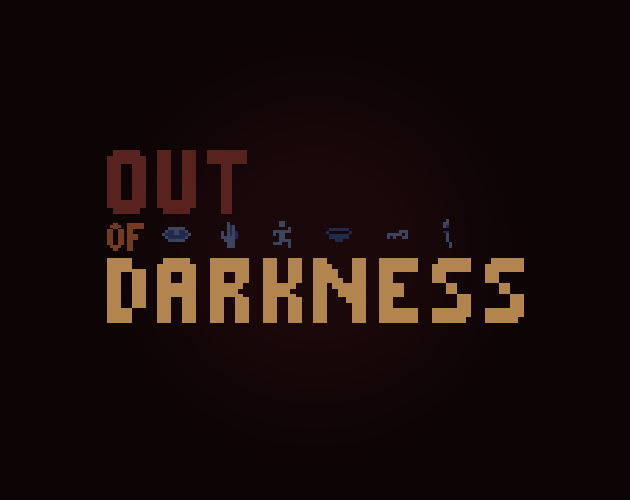 "Darkness" was selected from three randomly generated themes. Total work time added up to about 12 hours over the past week. Great project to practice on! This morning I finished all of the basic functionality I will need to complete the game. ^ Each room has its own hotspots that respond differently depending on what item you are using—everything has a description for when you look at it, or touch it, or hold a torch to it. I've spend about six hours setting everything—I'm estimating another four hours or so to finish out the rest of the rooms. Last week I started making a game every day—working to get some practice and experiment with different kinds of ideas. So far I've made three games in three days. Then on Saturday morning I bit off a bit more than I could chew—but decided to run with the ida anyway. I probably won't have time to finish until early next week, but I thought I'd post my progress so far! Riffing off of old point and click adventure games I loved as a kid. Keeping the slightly creepy vibes alive. Hey everyone! I am spending 1 to 2 hours every day making a new game. I generate three random themes in the morning, pick the one I like the best, then get to work! My goal is to get some practice and try to experiment with a lot of different ideas. The third game is based on the theme "afterlife". I made it in about two hours this morning.